AAfrica's Travel Indaba is one of the largest tourism marketing events on the African calendar and one of the top three ‘must visit’ events of its kind on the global calendar. It showcases the widest variety of Southern Africa's best tourism products and attracts international buyers and media from across the world. 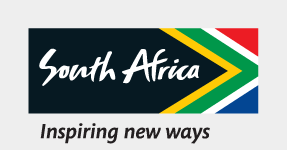 INDABA is owned by South African Tourism and organised by Pure Grit Project and Exhibitions Management (Pty) Ltd. Africa’s Travel Indaba will take place from 7 to 9 May 2019 at the Inkosi Albert Luthuli International Convention Centre in Durban. In recent years, the global meetings industry has begun to recognise Africa as a sought after destination. Meetings Africa showcases Africa’s diverse offering of services and products where African associations and African meetings industry professionals can partner to help transform our continent. In the last five years (between 2013 and 2017) Meetings Africa has hosted over 1000 international and regional buyers, 1336 exhibitors and over 7000 visitors. Meetings Africa 2019 will take place from 25-27 February 2019.